2019 is an important year for EU-Kazakhstan relations, in anticipation of the full entry into force of the Enhanced Partnership and Cooperation Agreement (EPCA) between Kazakhstan and the EU. In addition to strengthening the foundations for economic success, regional and security issues are also on the radar this year. 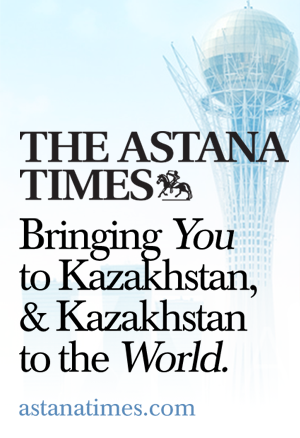 In November 2018, Kazakhstan President, Nursultan Nazarbayev, warned of a risk to post-World War II order and proposed that his country host a conference of the Organisation for Security and Cooperation in Europe (OSCE) in 2020 with the purpose of “updating” the 1975 Helsinki Final Act of the then CSCE. The Kazakh leader said the world was getting closer to repeating the Cuban missile crisis scenario, referring to the recent advancement of the NATO forces and deployment of new bases and military infrastructure closer to Russian borders. He underlined the need to build a trust-based dialogue between nuclear powers and step up negotiations to decrease nuclear arsenals and create nuclear-weapon-free zones. President Nazarbayev also said he believed Asia needs its own collective security organisation. As a non-permanent member of the UN Security Council in 2017-2018, Kazakhstan played an important role in putting Central Asia on the UN agenda. The EU continues to look at Kazakhstan as a key contributor to make relations with Central Asia stronger and deeper. EURACTIV organised this high level forum, co-inciding with the 17th EU-Kazakhstan Cooperation Committee, to discuss the future of EU-Kazakhstan co-operation. What is the current status of the Enhanced Partnership and Cooperation Agreement between Kazakhstan and the EU and what are the key steps to further the co-operation? What security issues are outstanding? What role for Kazakhstan to make relations between the EU and Central Asia stronger and deeper? What influence does Kazakhstan have in the Russia-led Eurasia Economic Union, a marketplace of over 180 million consumers? How can Kazakhstan’s relationship with China help the development of the Silk Road of the 21st century, including through its own Nurly Zhol infrastructure development programme and through cooperation within the Belt and Road Initiative?